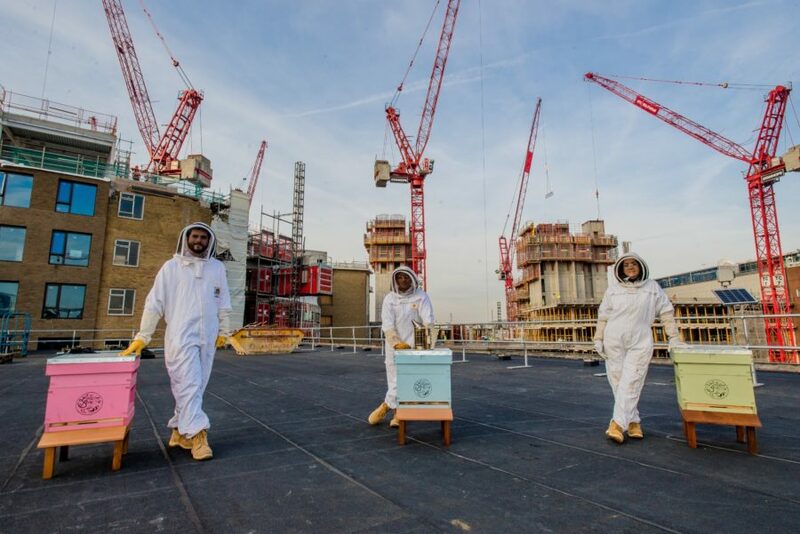 Television Centre is hosting a colony of busy honey bees on the roof of Studio 1. Despite having short life spans bees keep our planet’s ecosystem ticking over but recently the number of honey bees has been rapidly decreasing. Initiatives such as this allow bees to live in non-invasive spaces where they are in close proximity to a variety of wild plants – meaning a lot more honey is produced. The London Bee Company is a small independent business that aims to promote healthy bee colonies in a sustainable and responsible way.